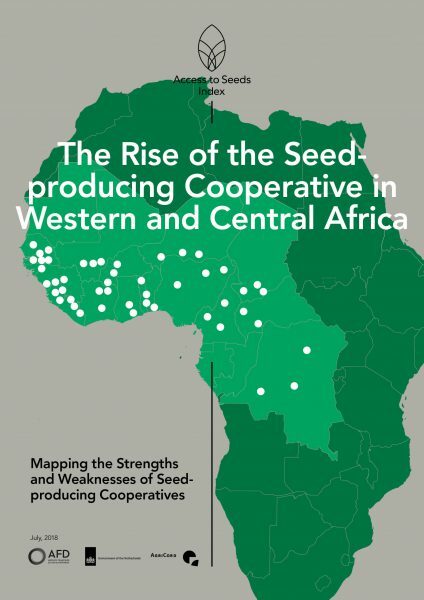 A new study by the Access to Seeds Index, supported by Agence Française de Développement, the Government of The Netherlands and AgriCord, evaluated over 50 seed-producing cooperatives across 20 countries in Western and Central Africa. Strong performers were identified in four countries: Senegal, Mali, Burkina Faso and Niger. In eight other countries the situation was qualified as ‘promising’. Farmer-led cooperatives moved into seed production in the 1980s and 90s when the seed sector was privatized. In the 2000s, many countries renewed their national seed laws, which created opportunities for these cooperatives to become formally recognized as certified seed producers. ‘When we talk about the formal seed sector in the region, it is important to realize that cooperatives can also be formal actors, not just seed companies,’ Diallo explains. One example is Madda Ben in Niger. Its members not only work together with global research agency ICRISAT in participatory variety selection, variety testing and demonstration in field schools, they also produce foundation seed for ICRISAT’s Seed Unit. So far, four new millet varieties have been introduced as a result of this cooperation. Through contracts with seed companies, its certified seed reaches farmers throughout the country. The relevance of cooperatives also lays in their presence and portfolio, the study found. In countries like Sierra Leone and Liberia or Borno State in Nigeria, where not many seed companies are active, cooperatives are the only suppliers of certified seed. The top 5 crops covered by cooperatives includes groundnut and cowpea, not often found in the portfolio of seed companies.